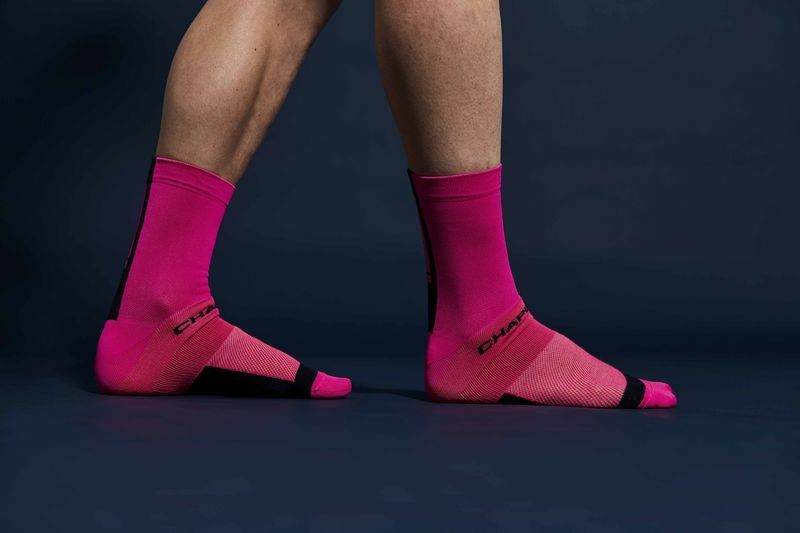 Our lightweight sock has been a firm staff favourite since it arrived. Made from fast wicking Polyamide it is fantastic for keeping your feet at the right temperature. Our lightweight sock has been a firm staff favourite since it arrived. Made from fast wicking Polyamide it is fantastic for keeping your feet at the right temperature. The actual fabric composition is 50% Polyamide, 45% Coolmax and 5% Elastane. In case you weren't aware Coolmax is superb polyster fabric which draws perspiration along it's fibres and away from the skin. It has a taller ankle style and a padded sole giving a good balance between performance and comfort and of course it looks amazing! The washing instructions are all pretty standard stuff; 40 degree wash, do not bleach, do not tumble dry, do not iron and do not dry clean.